The Canon 5D mark II has been on the market for over two and a half year now. I've got one myself so I thought I'd write a review about it anyway. The mark II is the successor of the popular Canon 5D and even exceeds its predecessors popularity. Most other digital single lens reflex cameras by Canon are renewed every one and a half year. The Canon 5D mark II was introduced three years after the Canon 5D. 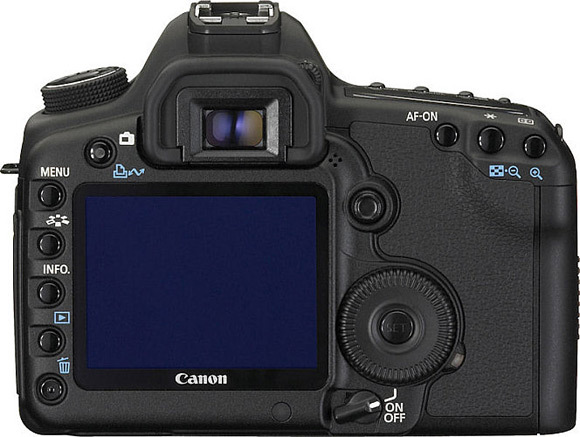 It looks like a Canon 5D mark III might have the same interval; this would suggest e new model will appear this fall. The mark III will have a hard time competing against its predecessor. As I mentioned, I also bought the Canon 5D mark II. It's my main camera and I'm very content with it. So, obviously this won't be a negative review. I've used the Canon 5D mark II for over two years now and it still is a joy to work with. It's also good to see that buying a Canon 5D mark II today will still give you a top-of-the-line camera that holds its own against newer models. The Canon 5D mark II feels good to hold. You'll have a good grip on the body. You can compare it with the old 5D and it's much better than holding the smaller Canon 500D or 1000D. The camera feels very solid and is well build. Personally I use the Canon 5D mark II without the extra battery grip. I did use a grip on my old Canon 400D (the camera I had before I bought the mark II), but the larger body of the Canon 5D mark II is perfect to use even without the optional grip. The camera's menu is divided in convenient tabs. This way it will never take you long to find the needed setting. Also convenient is the personal menu where you can place your most used settings. Thanks to the color coding of the different tabs it's even more easily to get to the menu you want. Multiple controls on the camera can be used to navigate through the menu. 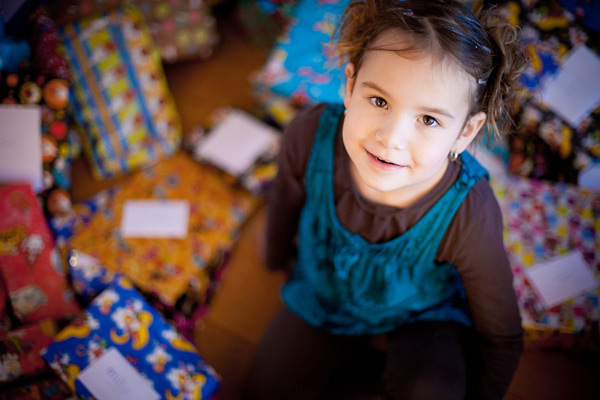 If there is one thing people do complain about on the Canon 5D mark II it is the autofocus. It's a bit slow. Canon obviously didn't put their best autofocus sensor in this body. Too bad, because it is one of the few downsides on the Canon 5D mark II. Will you be bothered by the slower autofocus? It depends on what you use the camera for. It's less suited for sports photography for instances. I mainly shot portraits and I've never complained about a slow autofocus personally. The Canon 5D mark II is equipped with a large 3 inch display. A three inch display has become the standard on most DSLRs. The image it produces is bright and clear. There is however some different coating used compared to the Canon 400D. That display was more easily cleaned using just you finger. To get the same clean result, you'll need a cloth now. When viewing photos on the display the basic information (shutterspeed, aperture) is display above the picture, not through or over the actual image. Nice, because now you can get some basic information about your shot and you're able to view the photo without any part being blocked. Of course you can set it up to display more information, this info is shown on top of the photo. With 21 megapixel, the Canon 5D mark II still packs more megapixel than most other cameras. It might be overkill for personal photos but it's a good amount for shooting assignments for companies. There is also the possibility to shoot in sRAW. 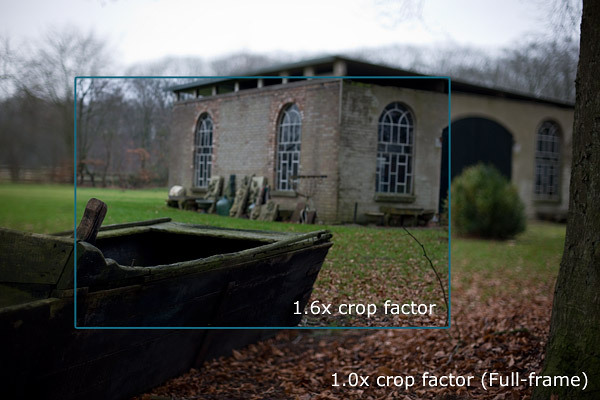 This smaller RAW format still gives you the advantages of RAW, but at a smaller pixel count. Could be nice if you want to save out on some of your compact flash or hard drive space. Two years ago I often used the sRAW format, but in the end you'll want the maximum quality and size that your camera can provide. You never know when you're going to shoot that once-in-a-lifetime photo. It would be a shame if that photo isn't in your best quality. Nowadays I always use the normal RAW format. sRAW1 will give you 10 megapixel images. The difference is mostly noted in file size. The full RAW file will take up about 25 megabyte of space with every photo. Luckily hard drive space is very cheap. You'll get two terabyte of space for less than 100 dollar. A full-frame camera has some advantages over a cropped camera, although it might depend on what type of photography you're in to. Personally I don't think I'll ever go back to a cropped camera. I love the shallower depth of field and the use of lenses as they are meant to. When I first bought my Canon 5D mark II, I kept my Canon 400D as my backup camera. On the first shoot where I used both bodies I decided to buy a used Canon 5D as my replacement backup. The crop camera just didn't do it anymore. Once you've grown accustomed to full-frame you'll most likely never look back. In the above image you can see the difference full-frame makes compared to a cropped camera. As you can see the extra wide angle you can get is very useful. However, you might need better lenses. As the crop camera only shows the center of the frame, you're getting the good stuff. In the edges you'll often find more optical problems. The viewfinder is noticeably brighter and of course a lot bigger compared with a crop camera. In the beginning it might take some time getting used to it. The viewfinder is so big, you might have some issues learning to take the large viewfinder into account. If you have got any EF-S lenses; these cannot be used on a full frame camera. Any normal EF lens you have will improve on a full-frame camera. They just make more sense. Take the excellent Canon 24-70mm f/2.8 for instance. On a crop camera this is a good lens, but on a full-frame the range is much more usable. Using full-frame even puts the fun back in using a 50mm prime lens. Another strong point on the Canon 5D mark II is its sensitivity to light. The ISO range starts at 50 ISO en goes up to 25.600 ISO. A huge range to work with! Personally I don't go above the 6400 ISO very often. Up to there, the files remain very usable. If you go any higher, you'll need some good noise reduction in post-processing. My previous camera would spit out more noise than image if I went above 800 ISO. With the Canon 5D mark II you gain three stops of light without losing any image quality. An excellent performance! 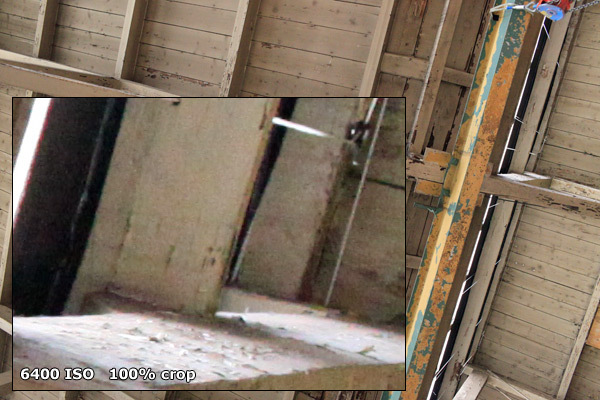 Shown above is a 100% crop (placed in the full image). The crop also shows you an impression of the resolution on this camera. As you can see there is some noise, but it's noting to worry about for medium sized prints. I didn't use any noise reduction in post on this photo. The Canon 5D mark II was a breakthrough for video enthusiasts. It brought high quality video for a (relatively) low price. Never before it was as cheap to create stunning high quality video. Usability of the video modes has gone up since the introduction of the Canon 5D mark II. 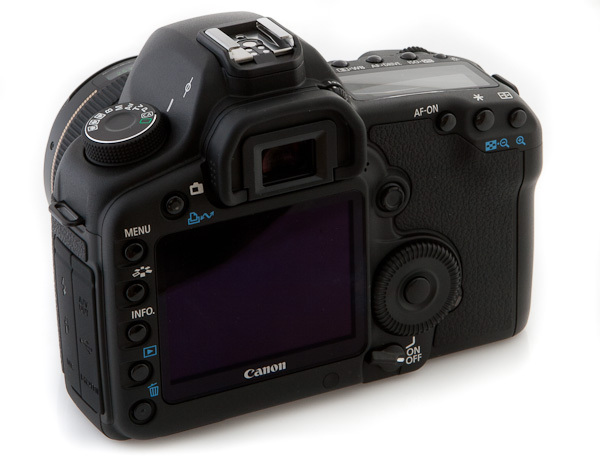 The Canon 7D, for instance, has better controls and more options for video. To use the video mode on the 5D mark II you need to switch to live-view. Next you have to press the 'select' button to start filming. Pres sit again to stop. It isn't hard, but it could have benefited from a more usable button. Don't like film features on a digital SLR? No problem, you can just as easily ignore the new video mode. Don't expect filming to be as easy as a dedicated camcorder. Shooting video with the Canon 5D mark II will require some practice and knowledge. While using the video mode, you can also use the camera's autofocus. The camera will use contrast-autofocus then. This is noticeably slower than the normal autofocus. The best way for good focus in your videos will be manual focus. The video below is entirely shot using a Canon 5D mark II. This film, called 'Reverie', is shot by Vincent Laforet. Vincent got hold of a Canon 5D mark II before the camera was officially released and got to use it for one weekend. In that weekend he organised and shot this complete video. Pretty impressive! The past few years I've used the video features of the Canon 5D mark II only a couple of times. If you already like filming, the video feature on the Canon 5D mark II is a wonderful feature. But for most photographers it will be something they won't use very often. The Canon 5D mark II is a worthy upgrade from its predecessor. Even today, the camera is still an excellent buy. Especially portrait, wedding and landscape photographers benefit from the camera's good points. For sports photographers the better choice would be a Canon 7D or the more expensive 1D series. The high sensitivity to light, the full-frame sensor and the fine ergonomics make the Canon 5D mark II an absolute recommendation! The camera sells for around 2.000 dollar. Without a doubt I can say this camera is worth every penny of its price. But, if you are in no hurry, I'm still expecting an upgrade to be announced later this year. It might be worth the wait..